SREB’s summer conferences bring attendees and our expert staff and consultants together to form lasting communities of practice. Before, during or after this year’s events, if you have a question, we’re here to help – just let us know. In the meantime, here are answers to questions we’re frequently asked. Where are the conferences being held? 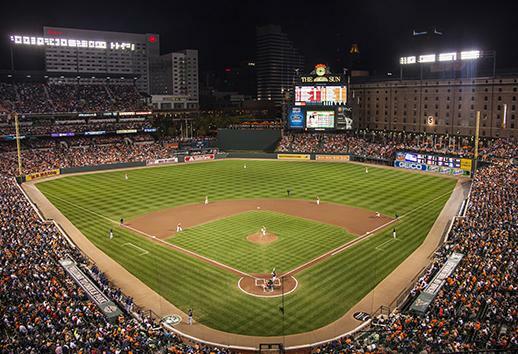 All conference events will take place at the Hilton Baltimore and the Baltimore Convention Center in Baltimore’s Inner Harbor. What’s the difference between the two conferences? At the College- and Career-Readiness Standards Networking Conference, teams of educators and school leaders dig deep into powerful literacy and mathematics tools and strategies that enhance students’ content knowledge and reasoning skills. Attendees explore how disciplinary literacy strategies empower students to own their learning, effective formative assessment engages students in a productive struggle with math, and meaningful assignments deepen students’ understanding of key grade-level content. The Making Schools Work Conference brings educators together to share promising practices for transforming school cultures and advancing students’ engagement and achievement in every discipline, at every level — from elementary through postsecondary education and into the workplace. Attendees experience inspiring sessions focused on effective instructional strategies, leading change, supporting students’ academic and career goals through advisory systems, project-based learning and STEM, and advanced CTE pathways that align with 21st-century jobs. Both conferences address critical issues like ensuring equitable access to quality instruction and addressing the effects of poverty. Most sessions are led by district, school and classroom practitioners. When will conference programs be available? 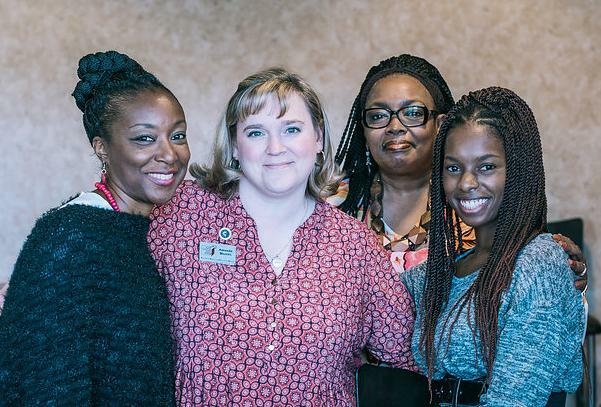 Full conference programs for the Networking Conference and the Making Schools Work Conference will be posted here on the summer conferences website by May 15, 2019. Conference programs will be continually updated after this date — including during the conference — to reflect any last-minute changes. Please download the program and use it to plan the sessions you would like to attend. This year’s conference programs will not be printed. Is there a conference mobile app? Yes! SREB’s summer conferences are going mobile this year. Download our official conference web apps to access each day’s schedule, exhibitor and sponsor listings, venue maps, speaker bios and more. The web app will allow you to search for sessions by keywords, session types, topics, times, intended audiences, grade levels and more. Links to the conference web apps will be posted as soon as they are available here on this website. How much does it cost to attend SREB’s summer conferences? Please visit our registration page for information on registration fees for the Networking and Making Schools Work conferences as well as optional fees associated with special meals, functions and tours. What’s included in conference registration fees? Your registration fee includes admission to all conference sessions and the exhibit hall, coffee or refreshment breaks and hot lunches. Networking Conference registration fees include morning coffee or refreshment breaks and a delicious hot lunch on Tuesday. Making Schools Work Conference registration fees include morning coffee with baked goods and refreshment breaks on each day of the conference and hot lunches on Thursday and Friday. A special lunch is available on Wednesday for Networking or Making Schools Work Conference attendees for an additional fee. Spouse/guest registrations only include admission to the Making Schools Work Conference exhibit hall, meals and coffee or refreshment breaks. 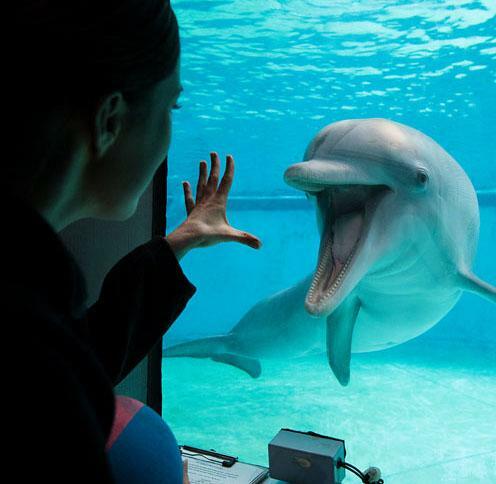 Optional industry tours and special events carry a separate fee. Please see our registration page for complete details and pricing. How much does it cost to stay in one of SREB’s official conference hotels? Please visit the travel section of our website for detailed pricing information for official conference hotels as well as information on flights and ground transportation. When do the conferences begin and end? Registration for the Networking Conference begins at 8 a.m. on July 8. Networking Conference activities officially begin with an opening general session at 1 p.m. on July 8 and end at noon on July 10. Registration for the Making Schools Work Conference begins at 8 a.m. on July 10. Conference activities kick off with an opening general session at 3 p.m. on July 10 and end at noon on July 13. For detailed information on preconference activities and special events, please visit the Schedule at a Glance pages for the Networking Conference and the Making Schools Work Conference. I have not received confirmation of my registration. What should I do? Send us an email with your request for a confirmation. How do I make changes to my conference registration? You may go back to the original entry on the online registration site and make changes or email them to us. I registered but can’t attend. May someone else go in my place? Yes! Please send an email requesting the change that includes the registrant’s name and the new attendee’s name and contact information. To qualify for a refund, cancellations must be received by June 14, 2019. All cancellations received after June 14 will incur a $100 cancellation fee per canceled registrant. Requests for a full refund without the cancellation fee after June 14 will be assessed on a case-by-case basis. Please email us. What types of payments are acceptable? May I register after the deadline has passed? Yes! 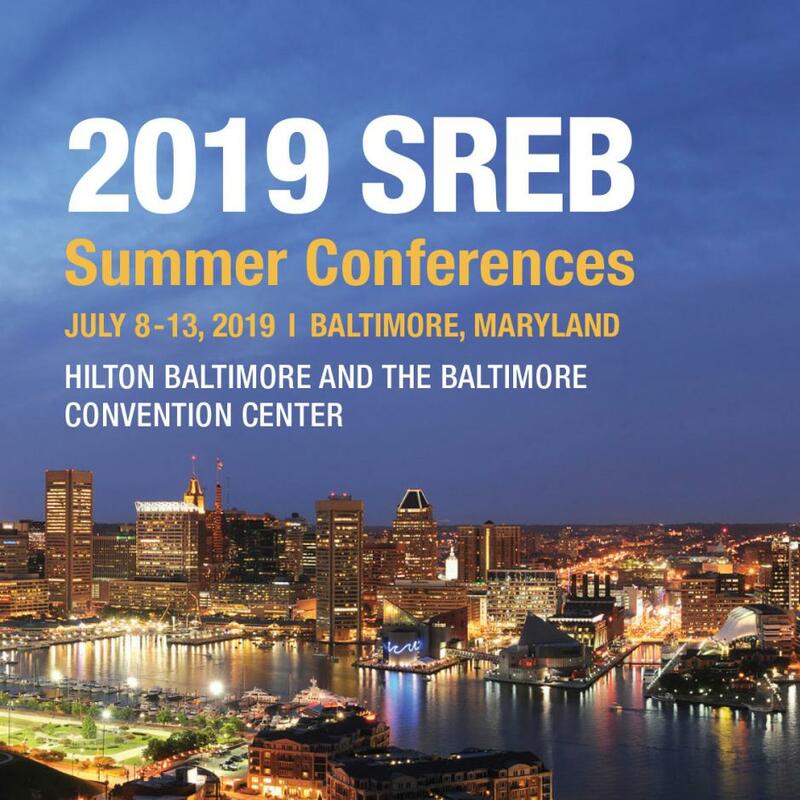 Online registration closes June 30, 2019, but you may register on-site at SREB’s summer conference headquarters at the Baltimore Convention Center. Is payment due before the conference? Payments should be made at the time of registration. However, we do accept payment at the conference. Please visit SREB’s summer conference headquarters at the Baltimore Convention Center to make your payment in person. Is payment still due even though I did not attend the conference? Yes, you are responsible for either the full registration fee or a cancellation fee.